If you have choose new broadband connection or internet plan, these are really beneficial time for all user. Telecom network operators are contending for your attention. Different telecom operator such as Vodafone, Airtel and Idea announced their new tariff plan to war Jio prime plan has hit back with new offer of its own. Jio new prime plan to pay on Paytm and Mobikwik e-wallets to new plan. Also reliance jio money e-wallets have their own application. Also, Mobikwik is announcing not pay actual subscriber plan, it means you pay just Rs. 79 only instead of Rs. 99 actual price. It is also providing cashback of up to Rs.150 with its Super cash scheme. Paytm is gifting prizes in the form of cashback worth Rs. 381 for executing Jio deal on its stage. These perk offer Rs. 30 cashback on two recharges, Rs. 150 off on movie tickets and a free other voucher. Meanwhile, Present telecom operator Airtel is offering its postpaid consumers an extra 30 GB free data with a 10 GB per month limit. India's largest telecom has also declared that all incoming roaming calls will now be free for its users. Following suit, Idea Cellular has also providing similar get extra benefit to its users or customers. All telecoms are providing various schemes to prepaid users to battle Jio's Prime membership which will be active from 31 March. 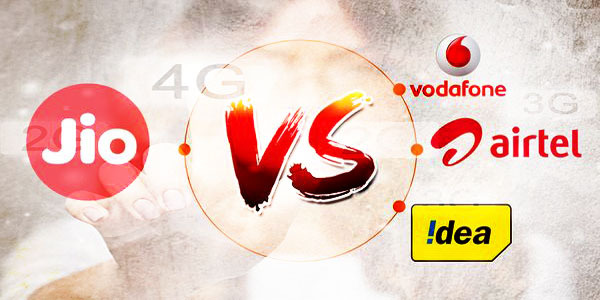 For more information of the Vodafone Idea-alliances are also predicted to be made public this week and could lead to more churn in the form of newer offers for users.